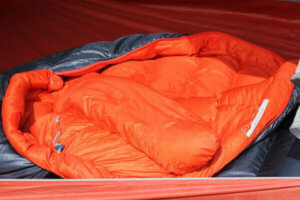 The REI Co-op Magma 10 Sleeping Bag is an outstanding ultralight down sleeping bag. 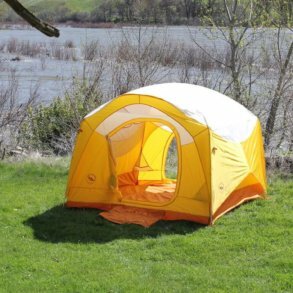 The shell fabric, overall design, weight, and even the color all come together to create a truly excellent backpacking sleeping bag. To give us a closer look, REI provided Man Makes Fire with a review unit of its long version. 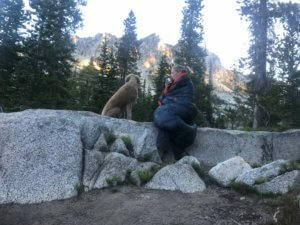 Our gear testers took it backpacking in August in the Eagle Cap Wilderness in Oregon. Here is what we learned. 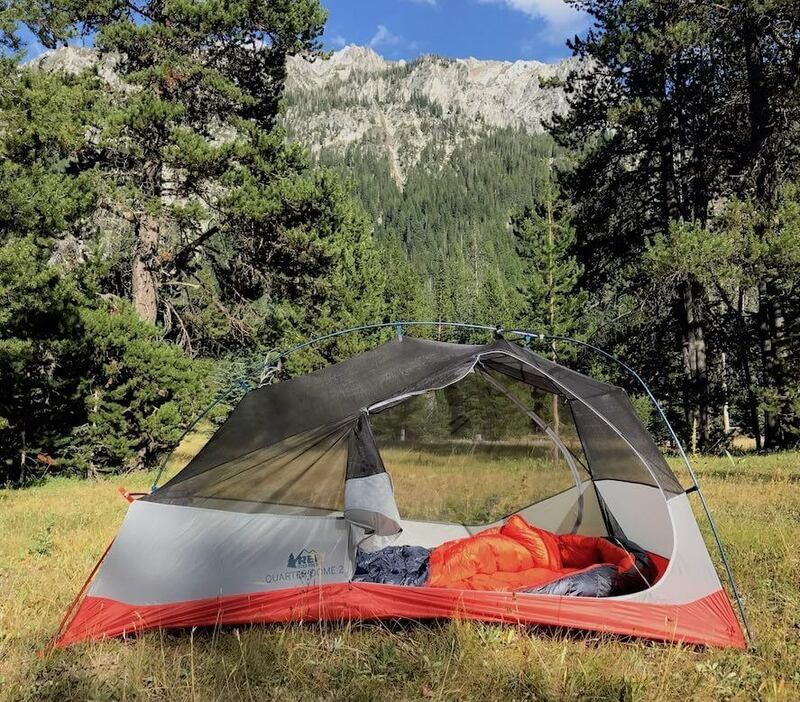 REI has been making its own branded gear for years, of course, but the company seems to be hitting its stride lately — and the REI Co-op Magma 10 Sleeping Bag is a case in point. In the under two pound down sleeping bag range, the REI Co-op Magma 10 hits all the right design elements and comes in at a competitive price point. 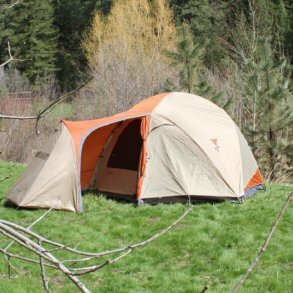 Our gear testers took the REI Co-op Magma 10 Sleeping Bag to the Eagle Cap Wilderness area in Oregon. The Magma’s down puffs up quickly inside the light fabric shell. It boasts high-quality water-resistant 850-fill goose down with a 15-denier ripstop nylon Pertex shell. The shell and lining is thin but it’s supple and feels fantastic on bare skin. It’s a great material choice and it lets the 850-fill goose down loft easily. Actually, let’s say this again: We really like the shell material of the Magma. The only thing that gives us pause is backpacking with dogs — you’ll want to keep their nails trimmed if they’re going to be walking all over your down sleeping bags inside your tent. That noted, we didn’t experience any punctures and would not expect any under normal backpacking use. The REI Co-op Magma 10 boasts an antisnag zipper system that’s easy to pull with one hand. The contoured hood has two drawcords to let you fine-tune the adjustment. The baffles around the neck and zipper are plenty big to seal out drafts, although one of our gear testers would have preferred a smaller baffle around the neck area. 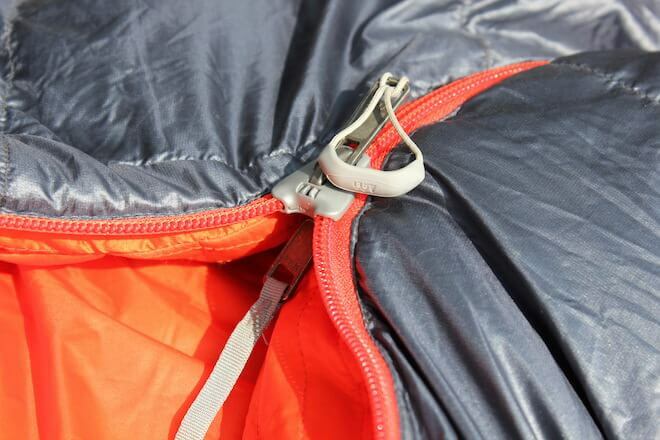 The zipper has an antisnag strip that lets you zip or unzip the bag one-handed. About the zipper, a design element you might not notice right away is the curvature of the zipper at your upper torso and shoulder: Instead of staying close to your shoulder, it veers toward your neck and chest. It’s pretty smart, actually, because it makes it a lot easier to reach the zipper when you’re all zipped up inside the bag. The REI Co-op Magma 10 has two adjustment points for the hood. The ample collar baffle seals out drafts in cold weather. The temperature rating on the Magma 10 is down to 10-degrees Fahrenheit on the lower European Norm (EN) limit and at 22 degrees for the European Norm comfort level. 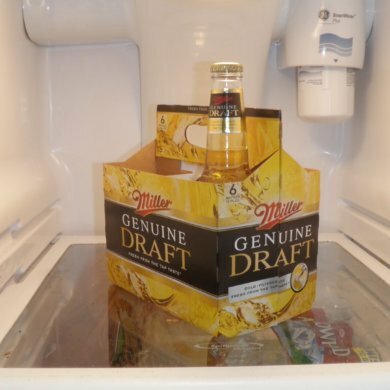 Basically, we consider this a 20-degree bag that can likely handle cooler weather. 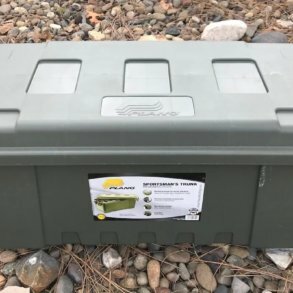 What this really means is that it’s a great all-around backpacking bag, capable of handling high country backpacking over three seasons for most people, most of the time. One note here — having a good insulated sleeping pad is critical when the temperature drops, so just know that uninsulated air pads make it harder for any sleeping bag to do its job. In terms of temperature, the Magma is aptly named — it’s a warm bag. Part of that is due to the down construction, but it’s also due to the draft tube, collar and mummy shape. REI cut this bag to give you room to move around but not so much that you have to heat unused space. Our largest tester is about 6’3” and 220 pounds (that’s me). For me, it fits about the same as most every other mummy style bag in this category — fairly snug pretty much everywhere. The shoulder girth is 60 inches while the hip girth is 57 inches. We’ve seen some mummy-style bags in this category that go up to 64 inches of girth at the shoulder, but 60 inches is still pretty average in an ultralight bag. As mummy bags go, the Magma is comfortable for many sleep positions even if you’re above average in size like me. The key sleep position that didn’t work well for three of our testers is a side sleeper who likes to raise their top leg by bending their knee and bringing that knee to a 90-degree angle from their body, leaving the bottom leg straight. Granted, this is not an easy position for most mummy-style sleeping bags, but our three testers happened to all like this sleeping position. Fortunately, there are two workarounds. First, unzip the bag from the bottom or the top — it’s a really warm bag, so this helps regulate your temperature on those warmer nights. The opening will let you get a leg or knee out to increase your options. The overall feel and look of the Magma 10 is hard to capture in a photo — the Magma 10 is a warm and inviting bag with excellent fabric and great down. Second, if it’s cold out, you’re just going to have to bend both legs at the same time if you’re sleeping on your side. The point is, the Magma fits in the middle of the girth scale (but on the fitted end of REI’s own scale) so if you’re bigger than average and like to bend one leg at a time, you’ll want to look for a wider bag — which is basically the same advice you’ll need for 85% of all mummy bags anyway. You know you’ve found a great bag when you bring it from the tent in the morning so you can wear it while you drink a cup of backcountry coffee. Either way, REI says its Magma 10 offers the company’s best warmth-to-weight ratio in its ultralight sleeping bag lineup, and while the temperature didn’t drop too cold on the Eagle Cap trip, the Magma insulates well enough to inspire confidence. What about weight? The Regular version is a competitive 1 lb. 14 oz. 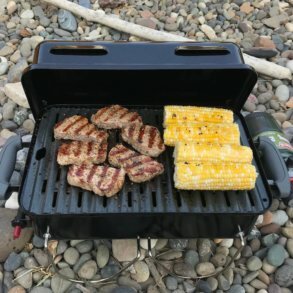 while the Long version comes in right at a respectable 2 lbs even. 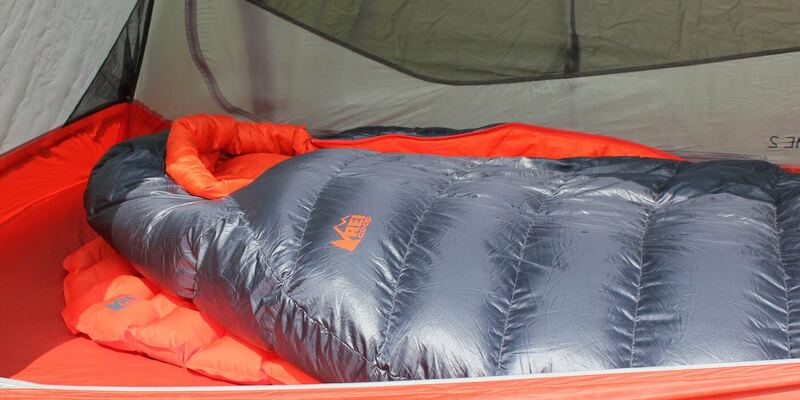 The photos of the REI Co-op Magma 10 Sleeping Bag don’t do this bag justice. The Dark Obsidian outer shell paired with the red-hot orange interior looks fantastic — obviously like hot lava. The fabric is ultralight and soft, and the whole construction brings this bag together. What it all adds up to is that the overall design and quality of the Magma makes you want to use it. As near as we can tell, it’s been a hit for REI. The company sold out early in the season and the customer reviews are running higher than average, too. What else can we say? If you’re looking for a well-designed mummy-style ultralight down sleeping bag, the REI Co-op Magma should be on your short list. The price-to-value ratio is spot on and the warmth-to-weight ratio is great. Highly recommended.